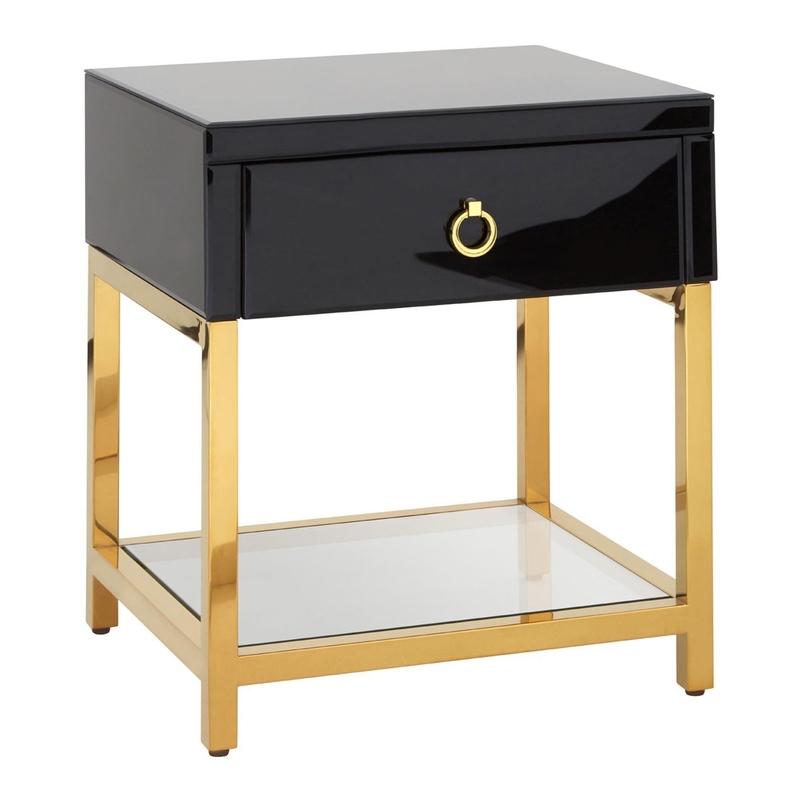 Featuring a gorgeous glossy black finish which makes for a tonal counterpoint due to its matching gold coloured legs and drawer handles. Thanks to its 1 drawer design, you can store any household items in this luxurious practical piece of furniture whilst keeping your home looking tidy and stylish. This tempered glass console table is also perfect if you're looking for somewhere to proudly display your ornaments and photo frames at your bedside. Made from high-quality materials, this Townhouse 1 Drawer Black Bedside Table will be sure to last you generations.